for interior design and architecture students. I believe any interested student can learn a new skill with clear, organized instruction. Complex skills require more focus and clearer instruction. Revit is no different. I teach and write about complex software like Revit and AutoCAD by limiting instruction to the most relevant topics. Each topic is presented with custom graphics and easy-to-read text. The instruction creates strong connections to architectural graphic standards, the design studio, and the design profession. Guided discovery exercises reinforce the newly attained knowledge, while application exercises provide an opportunity to apply the skill to something new. 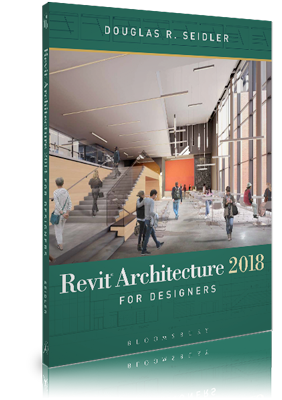 Revit Architecture 2018 for Designers provides focused, clear, and relevant instruction for both interior design and architecture students. Fully illustrated, step-by-step tutorials are updated for Revit Architecture 2018’s user interface improvements. Improved instruction on construction plans and furniture plans. New instruction on creating presentation plans, finish plans, and demolition plans. Companion website features updated downloads for each chapter, including guided discovery exercises, title blocks, Revit® families, and sample rendered images. 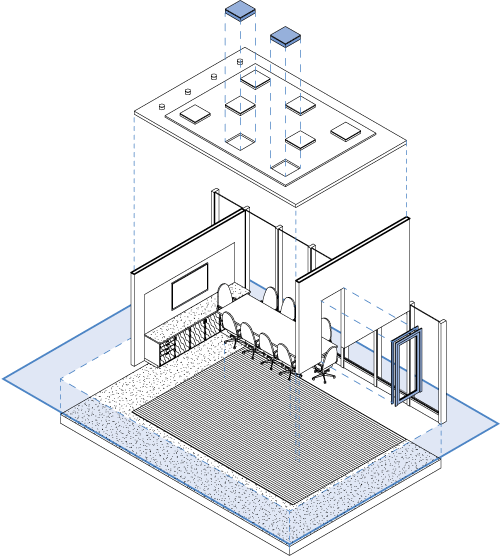 Revit is rapidly replacing AutoCAD as the digital drawing tool of choice for architects and interior designers. This book aims to help design students master Revit as a tool in the design studio and in practice. You can broadly sort the numerous Revit books into two categories—“guides for dummies” and “exhaustive references”—neither of which specifically addresses how professional designers use Revit. Revit Architecture 2016 for Designers sits between these two categories, providing both a thorough primer for new learners and expanded conceptual discussion for design professionals. The progressive introduction of concepts (chapters build on previous chapters), digital exercises, and professional examples make this book easy to follow for learners new to Revit. Packed with visual examples, Revit Architecture 2016 for Designers is written specifically for architecture students and interior design students. It provides a thorough primer for new learners and advanced instruction for designers. Chapter 10 introduce advanced Revit concepts like modeling custom families. Chapters 2–3 introduce you to drawing tools in Revit. Understanding how to use each of the tools keeps you in control of your drawing and allows you to “ask of the computer” rather than let Revit dictate how your drawings will look. Each chapter begins with a basic introduction of Revit’s features for the drawing convention and gradually moves through intermediate and more advanced drawing techniques. Chapters 4–10 emphasize drawing for design presentations. Floor plans, finish plans, reflected ceiling plans, elevations, and perspectives are reviewed throughout this section of the textbook. By combining these presentation drawings skills with the foundation drawing skills acquired earlier in the book, you will be prepared to create drawings that visually communicate your design ideas. 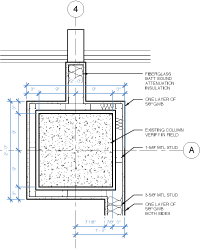 Chapters 11–15 cover construction documents in Revit, ending with organized sheet sets. Construction drawing types include construction plans, demolition plans, furniture plans, finish plans, and reflected ceiling plans. Additional topics include schedules, enlarged plans, and construction details. By combining these construction document skills with a strong foundation for drawing in Revit, you will be prepared to work on or create any Revit project. The textbook instruction is supplemented with a digital companion download. The download includes guided discover exercises, custom title sheets, example drawings, and project templates. Learn more about the download here.